We round up the latest Liverpool news and transfer rumours on Tuesday, following the Reds’ disappointing 1-1 draw at West Ham. A positive piece of news for the Reds. Steven Scragg on the latest twist in the title race. The good, the bad and title pressure. A typically honest assessment from the Scot. Jordan Henderson and Gini Wijnaldum both missed the West Ham game, with their presence in the middle of the park much-needed. “Gini and Hendo, both would’ve played and then they cannot play. That’s not too cool, I don’t know how long it will take. 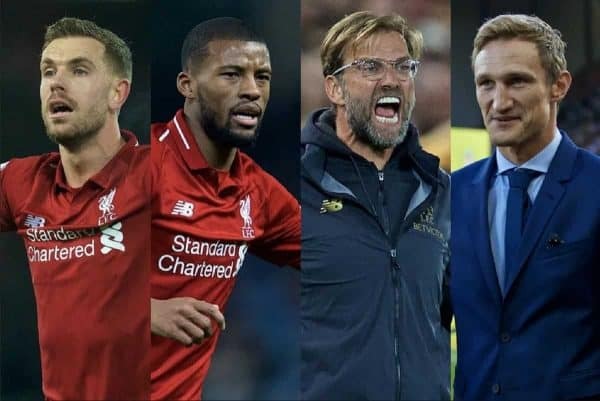 The injury problems are starting to mount up for the Reds, whose Premier League title challenge is threatening to falter. 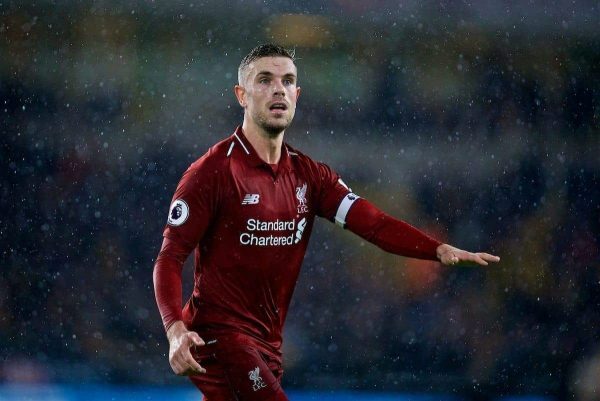 Liverpool need Henderson and Wijnaldum back as soon as possible. The Boss in Hot Water? Klopp was not impressed by the performance of Kevin Friend against West Ham, accusing the referee of favouring the hosts after Sadio Mane‘s offside opener. 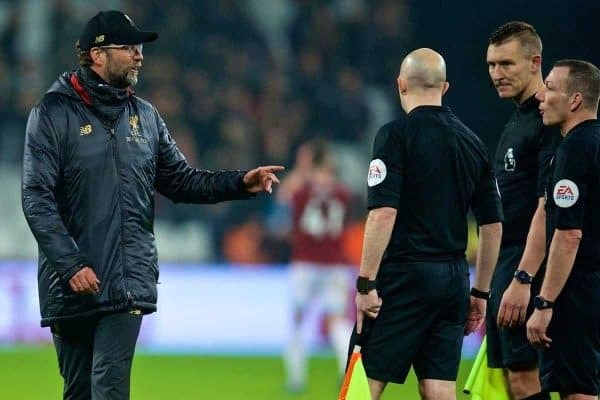 , The FA has today sought written observations from Jürgen Klopp following his comments after the game against West Ham United on Monday 4 February concerning the match referee. Klopp faces a possible FA charge should he be found guilty, with managers “not permitted to imply bias, question the integrity of the officials or say anything that can be deemed as personally offensive,” according to the Telegraph. Liverpool have been boosted by the news that David Brooks will miss Bournemouth‘s trip to Anfield on Saturday. 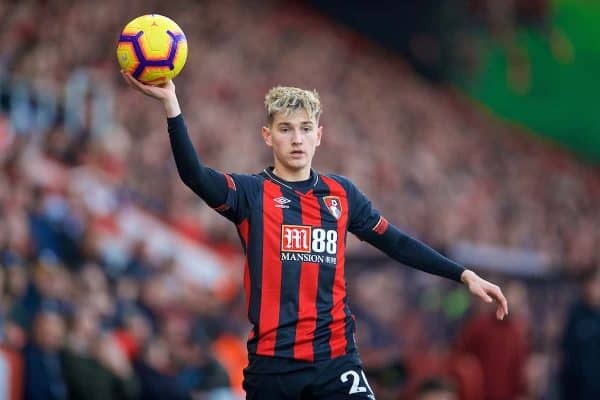 The young Welshman has been one of the Cherries’ best players this season, scoring six goals, with the Reds previously linked with a bid for him. “David injured his ankle scoring against Chelsea. It was a strange injury, he didn’t feel it kicking the ball but felt in the celebration that he injured himself. The weekend clash is a 3pm kickoff. 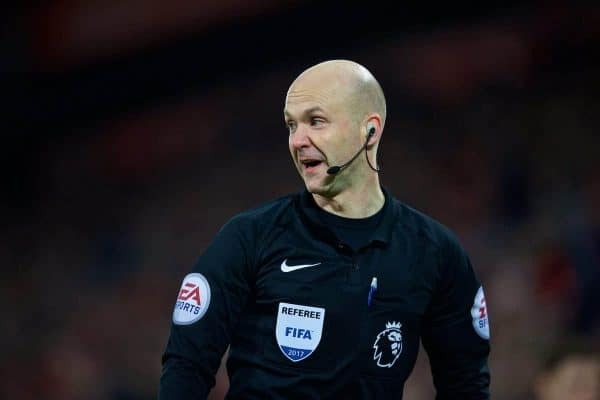 Anthony Taylor will take charge of Liverpool vs. Bournemouth, which given his Manchester roots is sure to cause a stir. Taylor refereed Liverpool’s 2-1 defeat to Man City last month, failing to give Vincent Kompany a red card after a reckless lunge on Mohamed Salah. That is the only Reds game he has officiated this season—let’s hope for a change in fortunes this time around. Sami Hyypia will play for Liverpool Legends when they take on AC Milan at Anfield on March 23. The legendary former Reds centre-back and captain gave a decade of great service to the club between 1999 and 2009, famously winning the Champions League in 2005. Hyypia will join up with a host of ex-Liverpool favourites, including fellow Istanbul heroes Jerzy Dudek, Jamie Carragher, Vlad Smicer and Luis Garcia.